Place our special formula Graphite Paper on your wood, ink side down, then lay your Winfield pattern on top. Trace the pattern lines with a stylus or a ballpoint pen. Peek before moving the pattern to ensure all lines have been transfered to the wood. Lines will not bleed through your paint. 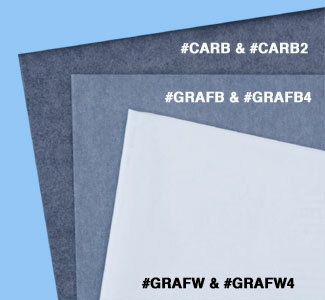 Graphite paper leaves a lighter line and is slightly cleaner and easier to erase than the carbon transfer paper. Use white graphite paper for dark colored woods.